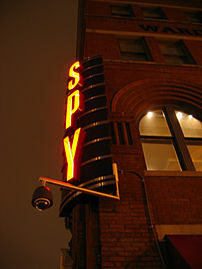 Was The Apostle Paul a Spy? LEXINGTON, VA: – The head of the history department at Virginia Military Institute suggests that the Apostle Paul faked his conversion and was really a spy for the Romans. Col. Rose Mary Sheldon of VMI, presented her thesis last week at the International Spy Museum in Washington DC. It was based upon research that she did as co-author of “Operation Messiah: St. Paul, Roman Intelligence and the Birth of Christianity“. According to her theory, Paul faked his conversion on the road to Damascus so he could infiltrate Christian congregations and report to Rome on the suspicious new group.